multifaceted. We love where we live, work, and play. That it is why we love creating this magazine, because we get to learn so much more about our beloved area – and we get to share that with all of our readers! 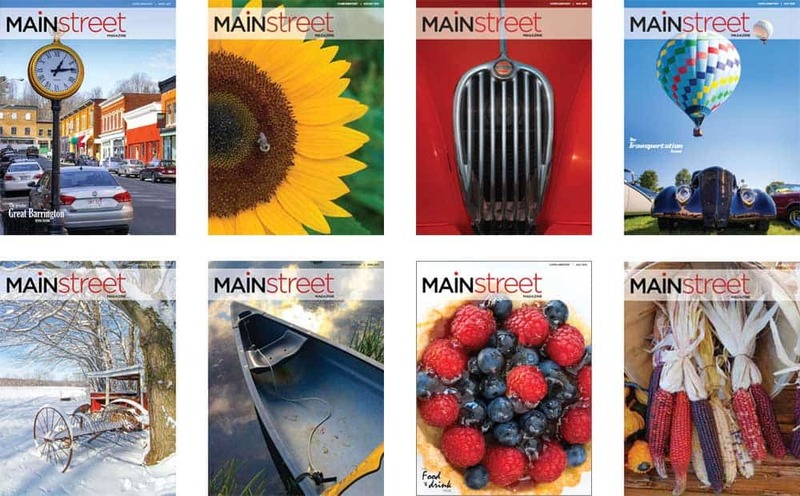 Main Street Magazine is a 9×12 full color, 48-60 page monthly magazine that comes out on or around the first of every month. The content of Main Street Magazine focuses on featuring the people, businesses, places, history, curiosities, and important local issues within this area, in features, and in in-depth stories. (For further information about the magazine’s articles and columns, please go to the Articles page). The magazine is printed on beautiful satin paper, which enhances the advertising, photography and articles for optimal display value. There are many benefits to advertising in Main Street Magazine. The clear advantage of advertising in this magazine versus other similar full color monthly magazines is that we are focused. This magazine is about the people, businesses, and curiosities in this area FOR the people, businesses, and consumers within this area. For that reason, our distribution is more focused, while other similar magazines cover a larger area, often from Poughkeepsie to Vermont. But what relevance is that to a local business? The majority of business conducted in our region is done within a 25 mile (give or take) radius of a person’s home. It is more advantageous to our local advertisers to market to local consumers, and those are exactly our readers. Main Street Magazine features the tri-corner area: north from Copake and Ancramdale NY, to South Egremont MA and Canaan CT; south through Lakeville and Sharon in Connecticut; down Route 22 to Amenia and Millbrook, and down Route 82 from Pine Plains to Millbrook in New York – and everything in-between – with Millerton at it’s center. The magazine is distributed at numerous locations within this area, reaching people between the ages of 19-70, 49% male and 51% female. The ad deadline for Main Street Magazine is always the 15th of the month prior for all camera-ready ads.